Tim Cutler (Owner/MD) – Tim started with Van Guard Ply Lining Ltd in 2004 having previously had his own ply lining business, and before that a Corporate Sales Manager for a motor group. He has over 25 years’ experience in the motor trade. Tim enjoys long countryside walks with his wife and their two Beagles & Landscape Photography. Tristram Tucker (Workshop Manager) – Tris has been with the company from ‘day one’, originally as a fitter and now runs the production and installation side of the business as our Workshop Manager. Through his time as our senior fitter, he has been involved in the development of many of our products and services and is now passing on all that experience to our ‘younger’ generation. Tris enjoys spending time with his family, anything Star Wars and his Xbox! Nicky Styles (Accounts Administrator) – Nicky joined us in October 2014 and is the first of her kind, as we have never had an accounts administrator before! Since joining she has undertaken all aspects of our invoicing, purchase ledger and credit control. Nicky enjoys entertaining with friends and watching her sons play football. 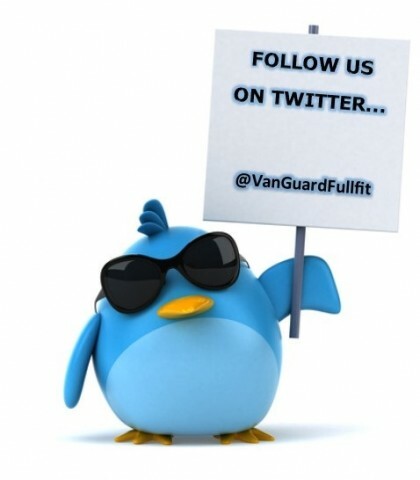 Andrew Lendon (Workshop) – Andrew originally joined Van Guard Full Fit in 2010, having previously worked for Van Guard Accessories Ltd. He left us in November 2014 to take a year out exploring Australia and has recently returned to help out on the production/fitting of our products, albeit with a slight antipodean twang! Andrew enjoys playing/coaching rugby and his Xbox.